With so many amazing sights to see throughout Victoria, it is often overwhelming where to start. It can be difficult shifting through the "touristy" spots to find places that embody Victoria but aren't going to be overflowing with tourists. The Internet makes it increasingly difficult to find these hidden gems and for them to actually stay hidden. I've debated writing an entire piece about my favourite place in Victoria for a while. It's purely been for selfish reasons. 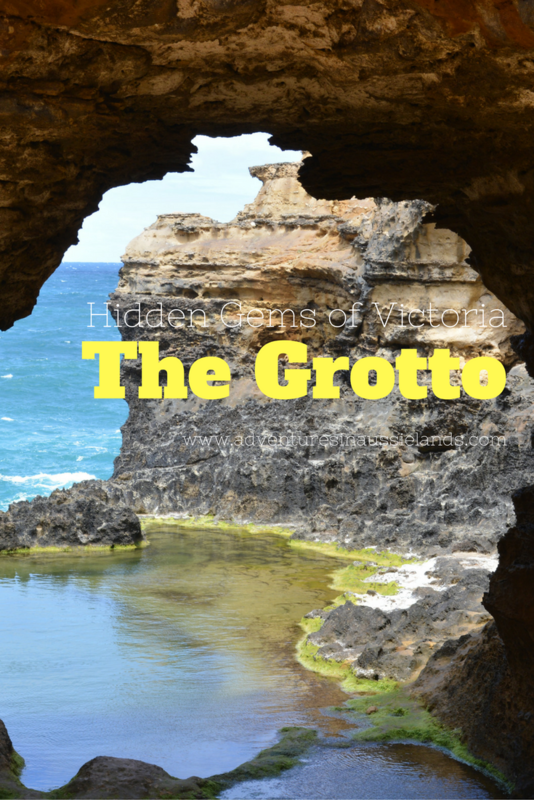 Roughly 20km west of the 12 Apostles you'll find The Grotto. Without fail, I've never been here, and it was overflowing with tourists. I'm not sure if it's because most tours stop at the 12 Apostles. Maybe it's because people are sick of driving and just want to go home. Maybe it's because everyone starts at Torquay and makes their way west. Whatever the reason, I'm grateful because it means I get this unique hideaway (mostly) to myself. Formed from a sinkhole, the cavernous feel the Grotto provides helps seclude you from the world. You're able to get an excellent window framed view of the ocean while being protected from the harsh winds. Even during the busiest time of the year, there isn't a lot of traffic. 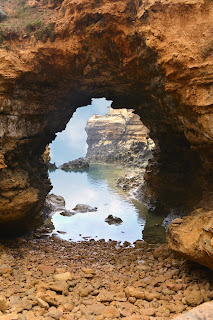 The people who do venture to the Grotto do not tend to stay long. I would guess this is because most have just come from the 12 Apostles. If you're going to compare the two, you're going to be disappointed. It's like comparing apples and oranges; you simply cannot do it. On my days off, this is where I choose to escape. It is the perfect place to get away from the city, enjoy the ocean, and read a good book. The drive away from the city is long enough to clear my head so that I'm not distracted while reading. All I need to do is settle myself in and start reading. On my most recent day off, I ventured here with my mum. She had finally come out to visit from the US, so I was incredibly excited to share my favourite places with her. We took the long drive out and spent some time relaxing and reading. Time slipped away as I read Incidental Hero. And before long, it was time for us to head off to our next adventure. Even my mum loves to read. If you're ever in Melbourne, this is definitely a must see on any list. If you've visited the Grotto before, share what you thought about it in the comments below! Do you have a favourite hidden gem of your city? Tell me about it!